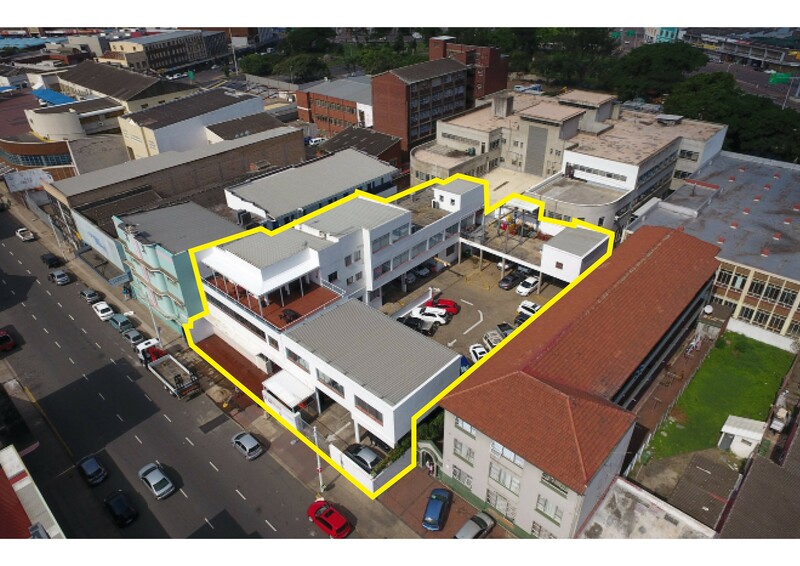 A historic business address known as 33 Umbilo Road in Congella, Durban, featuring a modern and timeless multipurpose building, will be integrated into the mix of properties on offer at the In2assets combined commercial property auction taking place on the 20th of April 2017. This extremely well presented property, offers two floors of first class office space, with the ground floor currently functioning as a workshop and storage area. The property offers many opportunities for retail, a showroom, training school, automotive service industry or even conversion to residential accommodation. The 25 secure parking bays are a great bonus to the building in an area that doesn’t offer large parking space to the public. The building offers the opportunity for an Investor with multi tenanted options, but also offers a perfect trading spot for the end-user. “The latest trends show that there remains high demand for Durban CBD properties, especially residential conversions and office space” says Rainer Stenzhorn of In2assets the market leader in the Durban commercial property space and on this property we have already received a substantial amount of enquiries. The property is for sale by public auction and will be part of the In2assets combined property Auction on the 25th of May 2017 at 11h00 at the Durban Country Club.